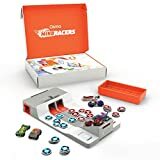 Interested in the Osmo Hot Wheels MindRacers Game (iPad base required) (Amazon Exclusive)? Is the price too high? You can easily price watch this product and we'll notify you when the price reaches your target.